It's .....BERRRRRR time - my favorite seasons of the year and it all starts with my favorite month - SEPTEMBER. Why do I like September? 'Coz this is my and my sister's birthmonth. So for this, post let me introduce you to my sister - a masscom graduate from the State University, Peyups, and is currently an english instructor in a University. She also sings in a band. My sister and Me! SAY CHIZZZZZZ! HEYYYY Gimme' my Camera Back or I will sing in your BAND!!! And here is my sister and her band doing a rendition of Suntok Sa Buwan in one of her performances during a School Festivity. Happy Birthday Sis and Advance Happy Holidays Everyone!!! If you enjoyed this post, do not forget to VOTE for me in the PINOY WORLD BLOG OF THE WEEK contest! Please check on LAWSTUDE and click VOTE at the poll located in my sidebar. Thank You all very much. galing nyo namang magkapatid. talentful, este talented. ang sweet nyo namang magkapatid,.. Happy Birthday to you and your sis!! ang pretty and talented naman ni sister. teka, sigurado ka ba na kapatid mo sya? lols. galing naman ng sis mo. isa lang ang masasabi ko, ngayon magpa-cheese burger ka na. WOW....your sister is ROCKIN!!! Listen to all those people scream! She's such a hit. Nakaka miss ang Xmas jan. d2 kasi ang mga Xmas decors inilalabas kung one week na lng b4 Xmas (usually). Busy kasi mga tao. anw, advance happy Bday sa inyo! ADVANCE HAPPY BIRTHDAY to both of you! May you both have many many more b-days to come! @ luke wiley - thanks bro. @ the islander - di ko nga rin alam kung bakit back to zero, eniweys sige boto lang ng boto hehehe. salamat bro. @ rio - thanks doc. lima kami magkakapatid pero 2 lang kami may bday ng september. magaling sya kumanta mapasolo man or band. @ the dong - salamat bro. may balak nga sya mag-aral ng photography eh kaya dapat siguro mag-aral na rin ako kumanta hehehe. @ ash - thanks. we will indeed enjoy september, hope you enjoy it too. @ tina - oo naman, gusto mo birth certificate? lols. @ beero - thanks hehehe. magaling din kumanta sis ko ng mellow. @ redlan - hahaha. sige may kasama pa french fries bro. @ my-so-called-quest - maraming salamat doc. ingats lagi. @ stanley - yeah, i got goosebumps when i watched the video. @ arlene - thanks. makakarating arlene. @ kris jasper van dyke - kaya mas masarap dito kasi 5 months ang pasko lols. thanks for the greetings. @ EM - thanks and GOD bless too. aba! ang galing galing ni sister! happy birthday to her! Happy Birthday. God bless you both. Que bueno dos retratos iguales con diferentes autores. Happy Birthmonth to your sister! 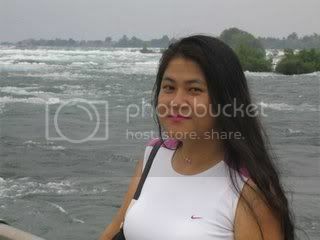 happy birthday sa nyo ng sis mo.. advance merry christmas na rin. hahaha..
binoto na kita. deserving ka naman talaga. goodluck! Happy birthday to you Law and your pretty sister. Are both of you twins? @ ifoundme - she is a good singer indeed. thanks for the visit. @ phivos nicolaides - thank you and GOD bless you too. @ katelove's - thanks. i appreciate. @ george - gracias senior. buenos diaz. @ kyels - thanks in her behalf. @ dakilang islander - i am more of a balladeer lols. kasi inaantok lahat ng nakakarinig pag kumanta ako. ewan ko ba, basta boto lang ako ng boto din eh lols. @ lei - thanks sa greeting at sa vote. nakakataba naman ng puso yun. @ alicesg - nope, i am older. mama mary also has a birthday in september. ang cute naman ng sister mo pwede ba kitang maging bro-in-law? hehehe! happy birthday naman sa cute mong sis! Happy Ber months na naman... Malapit na Sembreak... I hope makabalik na ulit ako sa mga tunay na adventures ko! Waaaah! LS: I send along birthday wishes to Sis. She is a good singer. She certainly has a nice voice. Happy Birthday to you and your beautiful sister! I love the pics of you two..fun idea! And she and her band are rocking, sounds as if they are a huge sucess too! I voted for you too, you are doing well you had like 47 votes, way more than the others...GOOD LUCK! @ mang badoy - thnx sa greetings. mababasa nya to hehehe. may bf na yun. mababasa din to ng bf nya wahehe. @ lionheart - bro richard isang adventure din naman ang pag-aaral ah. nung mag-law nga ako bihirang-bihira din ako magtravel, bumabawi lang ngayun lols. 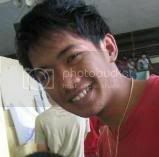 @ everlito - thnx parekoy, sige pag-uwi mo bibigyan kita otograp with matching pektyurs. @ fishing guy - she is. i think i'll post another video of her singing an english song soon. @ abaniko - salamat bro, makakarating. @ carlotta1924 - salamat hehehe. makakarating greetings. @ carletta - thanks for the greetings and the vote. have a nice day. @ catherine - thanks. we are just goofing around in front of a mirror during our uncle's 60th birthday. it was fun. thanks for the vote too. Happy Birthday to both of you. Are you twins are just born in the same month? anyway thanks for your visit. Anyway.... any plans for this month? A really fantastic post, I enjoy it a lot! Nice to see you both together.... U both enjoy the nice time there.... BTW i voted for you Lawstude... Can u send me the links to download your sister songs? wow lovely photographs here..thanks for visiting kikay-site.net..
Btw, is it me by any chance - one of winners of your 5 Star blogger award? Good morning from Finland! It`s 7.58am now, you have an afternoon already. You look beautiful and happy" children" ! And thank you for your comment on my Joensuu blog. Yes, I finished all other blogs execpt my Aminus page. The reason is, I got tired about their inappropriate comments. Welcome, if you have sometimes extra time. Happy birthday to you and your lovely sister! di pa naman kasal e... kaya pede pa... joke! sayang naman may bf na heheheh! Happy birthday to you and your sister. My birthday was yesterday. @ lissa - we are just born on the same month. i am much older than her. thanks for the visit too. @ bakhrian - thanks and all the best to you too. plans? maybe just a family dinner and lots of travel (i hope). i am looking forward to my trip in boracay. @ pietro - thanks. it is a fun shoot. @ selerines - thanks for the vote. i believe they have no songs on-line. i maybe wrong but i'll get back to you on this one. @ joyoz - thanks for the visit too. @ luna miranda - thanks. my talent? i can cook. lols. @ ash - that is indeed you. congratulations on th 5 Star Blogger Award. @ leena - thanks and happy birthday to your son too. i will definitely visit your other blog. take care. @ mang badoy - sana mabasa to ng bebe mo. hehehe. @ evlahos - thanks and happy birthday to you too. @ mediterranean kiwi - thanks a lot. Happy Birthday in advance to you and to your pretty sister! She is very talented; I liked her song and performance. It only is a pity that the sound record is not as good as I would like it to be. yes, i will surely vote you! Happy Birthday to the both of you!! Your sister is talented! @ medam - thank you. the video was very amateurish, some lad at school just handed it to her. hope to have clearer video and nicer sounds in the future. @ towr - thanks. having sisters are great. i have two. @ neva - thanks. she must have get it from her brother. ehem. lols. Advance/Belated Happy Birthday to you and your sister! Wish you more journeys and blessings in life.